So, you're planning a trip to Ocean City, New Jersey, and you're wondering what sort of fun things there are to do...well, there are a lot! To help you plan your vacation, we've narrowed down a list of our favorite five activities here alongside the beautiful Atlantic Ocean.1. 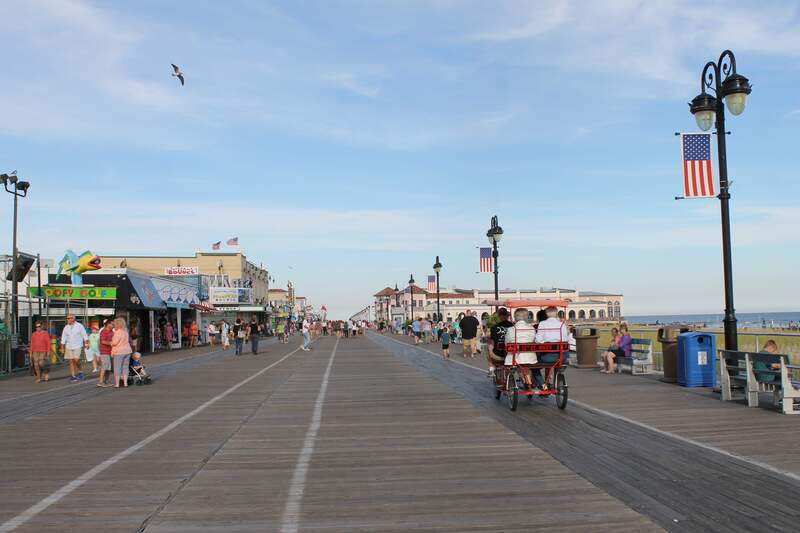 Visit the Boardwalk Without a doubt, the most famous feature of Ocean City, New Jersey is our wonderful boardwalk. Take a stroll and check out the endless shopping opportunities, as you breathe in the fresh ocean air. Grab a bite to eat at one of the many family friendly restaurants, and then explore a little further down for ice cream or cotton candy. Don't forget to ride the ferris wheel for a breathtaking view of the ocean and the surrounding area!2. Go on a Pirate Ship Adventure Yo ho, maties! 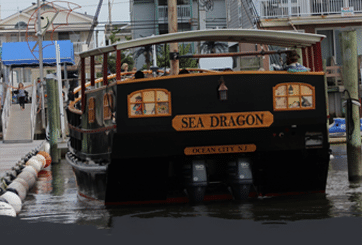 Searching for exciting and memorable family fun on your Ocean City vacation? Put down your spy glass. We've got the perfect thing! 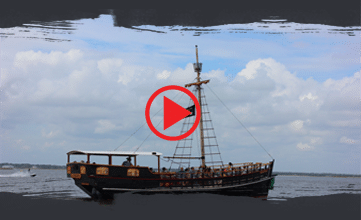 Go sailing on a real pirate ship replica! Sea Dragon Pirate Voyages offers one-hour pirate cruises on their realistic custom-built pirate ship. Here swashbucklers of all ages will enjoy old-fashioned fun, including face painting, storytelling, sea chanteys treasure hunts, water cannon battles and more. Miss this exciting activity, and you might as well walk the plank!3. Bike around the Beach Ok cyclists, here's the scoop on Ocean City, New Jersey: biking is great here! The city maintains several super-fun bike paths where you and your family can explore the entire area under pedal power. For your convenience, there are several places to rent bikes in town, as well as repair shops in case your own bike is in need of a tune up. 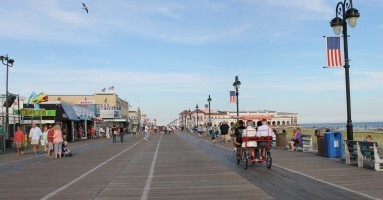 Visit www.bikeocnj.org for more information about cycling on Ocean City.4. Try Parasailing Looking for something a little more exciting? Something with tons of fresh ocean air...underneath you? Try parasailing! For 20 years, the fantastic and experienced captains and crews at Ocean City Parasail have been thrilling vacationers with spectacular views and fun, safe rides. Give them a call at 609-399-3559, and get ready to check out all the sights Ocean City has to offer, from 500 ft. high over the beautiful, blue ocean!5. 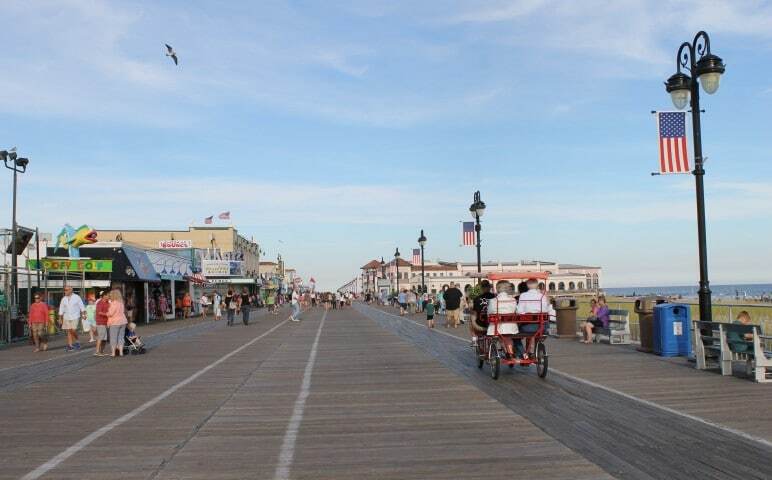 Go to the Beach With so much to do in Ocean City, New Jersey, one almost needs to be reminded there are over 8 miles of beautiful beachfront, along the ocean and the bay, for you and the kids to explore. From stand up paddle boarding to surfing to fishing to kayaking, to just relaxing by the water, you'll find plenty to do — or not do — here at the beach in Ocean City. For detailed beach info, including guarded beaches, beach conditions and more, visit OceanCityVacation.com.